Whilst training in Portugal recently, I received a real wake up call about my riding position! Like most of us, I thought I sat on a horse fairly well (more or less) but by working through a few minor adjustments it became obvious how subtle changes can make a profound difference to the horse! Horses are generally very sensitive animals - to the balance of our weight and to pressure. As riders we can use this to our advantage to instruct our horse in order to get predetermined results. You can imagine (and probably have experienced!) the problems encountered when we unintentionally influence the horse through an incorrect position; e.g. by tipping to one side, bumping with a leg, jerking with a hand, etc. Unconscious movements on our part lead to miscommunication as the horse reacts to these unintentional aids and does things we don’t think we’ve asked for! So, what is the ideal position? Most of you will have a pretty good idea of this through reading, diagrams & working with a good instructor! * Legs. Our legs should hang down from our hips with equal weight in both sides and even contact applied to the saddle/horse through our thigh, knee and calf. Show a slight bend through the knee with the calf/ heel on a perpendicular line from the ear, shoulder & hip. Finally, feet should be parallel to the sides of the horse with heel slightly lower than the toe. * Arms/Hands. With shoulders to parallel to the ground, our upper arms should hang with their weight dropping into the elbows. Our forearms should describe a straight line from relaxed elbows down the rein to the horse’s mouth. Fingers should be closed in a fist with thumbs uppermost, remaining in a straight line through the wrist. * Upper body/eyes. Focusing on a perpendicular line from between the centre of our sternum to our navel, stretch that line to produce an upright torso. Facing towards the horse’s poll, ensure your eyes look towards the direction of travel. I’m sure this sounds familiar and is easy to understand. The challenging part is to maintain all of the above on a moving horse - ESPECIALLY when things aren’t going well! Keep in mind that we all come in different sizes and proportions (our horses too!). For example, riders may carry their hands differently depending on the length of their limbs. What can we do to ensure a correct position? Try sitting on a FITBALL (somewhere with a decent floor area & NOT near stairs!). The size of the fitball should be large enough so just the balls of your feet rest lightly on the floor. Experiment with your seat - practice feeling the weight shift from one seat bone to the other then back to balance, whilst your shoulders stay above your hips & parallel to the ground. Practice your ‘sitting trot’, bouncing gently up & down, feeling the rhythm. Rotate your pelvis one way & the other, limbering up your hip joints, hip flexors & lower back. Using the fitball in this way to challenge your balance will activate & strengthen your core muscles - yay! To be effective riders we need to be fit, flexible & have good muscular endurance, so make sure you take care to physically improve yourself in these areas. Either set up a video camera on a tripod or ask someone to film you. Seeing yourself ride (from all angles) is THE BEST WAY to identify any positional issues you may have - more effective than hearing it from your instructor a thousand times! Knowing you have problems is the first step to fixing them. Watch it on a big screen where you can see your riding clearly & use the pause/play buttons to great effect. Find an experienced, qualified instructor who has a good eye and focuses on a correct, effective position (there are those that don’t!). Work with them regularly to establish and maintain good positional habits. We all need someone on the ground who we trust and respect to help us find ways to turn those little adjustments into new habits. With all this in mind, ultimately it is UP TO OURSELVES to be disciplined riders! Ride consciously. Break it down step by step and allow yourself (and your horse) time to make the corrections for a more harmonious partnership. Next time we will look at how we can take our correct (and effective!) position to correspond to the training scale in a meaningful way. Trish Braithwaite is a qualified EA/NCAS Level 1 coach, assisting riders of all ages & abilities and their horses in dressage, showjumping & crosscountry training. Trish coaches full time & can come to you at your place or to another suitable venue. Contact Trish at shutupandride@trishbraithwaite.com.au or 0427 134 033. 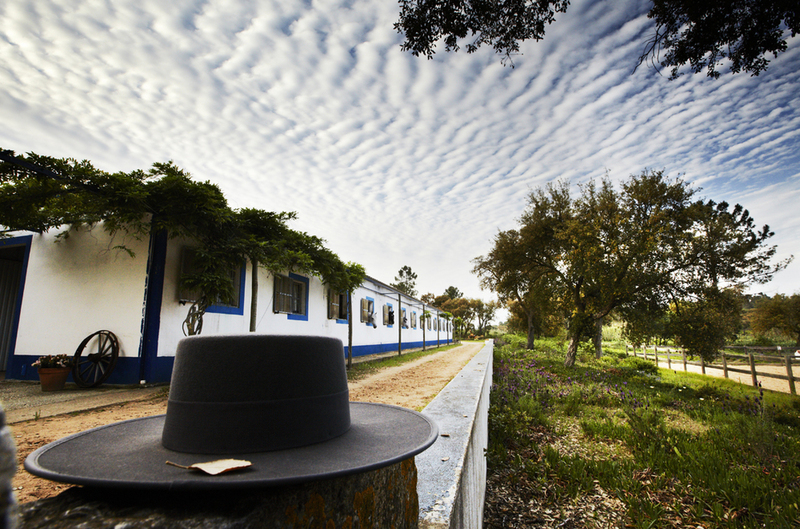 Photographs from Quinta do Archino, Portugal.